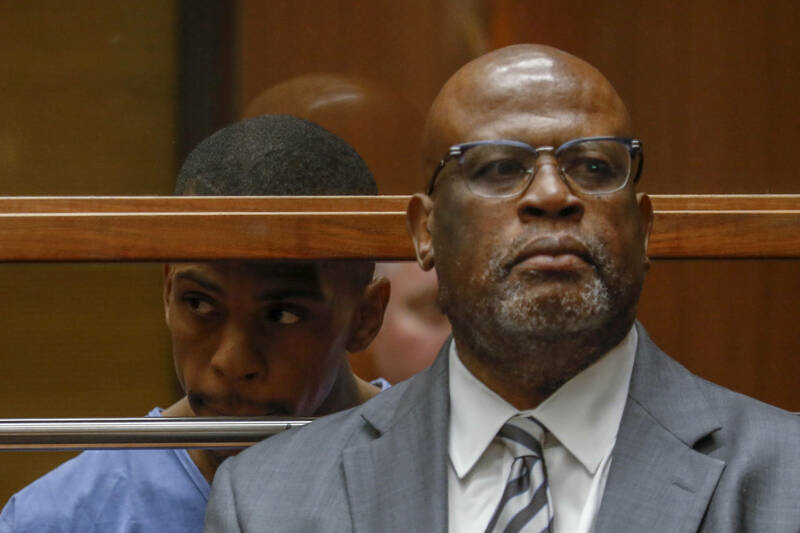 Yesterday, it was revealed that Eric Holder, the man suspected of murdering Nipsey Hussle, was being legally represented by Chris Darden, the same lawyer who was a prosecutor in the O.J. Simpson case many years ago. As you would expect, Darden's appearance in court was surprising to many, with folks speaking out about how this is now the second time he's been involved in such a high-profile case. Many are hoping that he suffers the same fate as with O.J. Simpson's case: a loss. The hip-hop community is extremely saddened by the death of Nipsey Hussle and his family deserves justice, so to see his killer locked up would only be right. Meek Mill was one of the men speaking out against Chris Darden after he entered a "not guilty" plea for his client, tweeting about the court appearance last night. "As self hate continues in the black community," wrote the Philadelphia rapper, adding in a bold hashtag at the end: "#housen***a." He wasn't finished there, sharing a few more of his thoughts and writing, "We at war with the system and the streets!!!" Meek Mill has fought hard for criminal justice reform so it should not be surprising to see the rapper involving himself in a high-profile legal case involving one of his peers. Nipsey Hussle lost his life over what appears to be jealousy and envy so Meek is stepping up to voice just how messed up this situation really is. Peep his tweets below.